A term constantly applied to New Testament Eldership is that of “rule” (proistēmi) which means to stand before, to preside, maintain rule, be over, and attend to. Another Greek word translated rule is hēgeomai which means to lead or to take command. Both of these words show the primary importance of Eldership taking up responsibility as leaders of the flock. The sheep are not to lead, the Elders are. The Church is not a democracy; it is led by elders appointed by the Holy Spirit. We see no voting in the New Testament but we do see the Church being led by godly men who are being led by the Spirit of God in accordance with the Word of God. It is taken for granted that all elders rule, “…the elders that rule well…” (I Tim.5:17), “…them which have the rule over you…” (Heb.13:7). The question is, Do you realise that to have someone "rule over" you in the local church is a healthy part of functioning as a member of the body of Christ. If you are not willing to have your confidence won by a sincere and godly elder to a place where you recodnise this then you are either a rebel or a sheep ready to get in serious trouble. Of course there is a strong limitation and protection in this. Scripture teaches that these elders are to rule only by persuasion, not by force. To rule by example, not just command. To rule well and to rule with diligence (I Thess.5:12; I Tim.3:5; 5:17; Heb.13:7, 17, 24; Rom.12:8). The realm of their leadership is the Church, not the home. Just as believers must respect the leadership in the church so also an elder will respect the headship of the husband in the home. The sphere of their leadership is laid out in Scripture and by no means are they to go beyond Scripture. Much abuse has come when leadership represents an unquestioned position of absolute rule. Paul delighted in the Berean’s who took the time and diligence to check out with Scripture all that he said (Acts 17:10). Leadership is never above Scripture; it is always accountable and submitted to Scripture and will, if they are walking uprightly, adhere to Scripture. “Remember them which have the rule over you, who have spoken unto you the word of God: whose faith follow, considering the end of their conversation” (Heb 13:7). Then a few verses later we read “Obey them that have the rule over you, and submit yourselves: for they watch for your souls, as they that must give account, that they may do it with joy, and not with grief: for that is unprofitable for you. (Heb 13:17). When it says, “Obey them that have the rule over you” it means to be persuaded by them. This means that the eldership use the Word of God to persuade believers of what they ought to do. In turn the sheep ought to have a heart that can be won over by the persuasion of being taught the clear truth of scripture. This is true leadership and true obedience to leadership. All New Testament elders were required to be able to teach (“apt to teach” I Tim. 3:2; II Tim.2:4). “…the elders…who labour in the word and doctrine.” (I Tim.5:17). It is not the job of every member of the church to teach. The New Testament clearly reveals that this is the specific and primary task of a few. But this does not mean that all elders are gifted as teachers. That is all together something different. Timothy was an Apostle but he was instructed by Paul to “do the work of an evangelist.” But that did not make him an evangelist. Each elder must have the basic ability to teach God’s people the Word of God. If a man has no ability to do this or the ability to grasp basic doctrine then he is not qualified to be an elder no matter what his Christian character is. If an elder is not grounded and solid in basic Bible doctrine then they will lead the sheep into confusion. 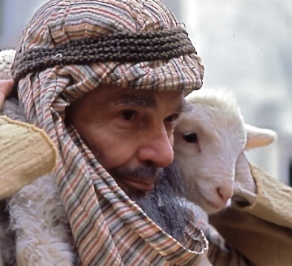 This basic ability to teach is the ability to feed the flock, “Feed the flock of God which is among you…” (I Pet.5:2) “…the flock, over the which the Holy Ghost hath made you overseers, to feed the church of God…” (Acts 20:28) “He saith unto him, Feed my lambs…Feed my sheep” Jn.21:15-17. The Greek word used here is poimainō meaning to tend as a shepherd. All elders are to feed the flock as shepherds would. But that does not mean that they all have the gifted ministry of shepherd. All elders must shepherd but not all elders are gifted as shepherds. Feeding sheep means teaching and preaching the written Word of God. True feeding comes from the Bible. Games, gimmicks, comedians, story-tellers and entertainers, are all excluded from feeding the sheep. This is a serious business. We are dealing with peoples lives. Elders (local church leaders) are called upon to preach and teach Christ, the written Word of God and the work of the Cross. If they do not do this they are disqualified from the task of feeding the sheep. One of the tasks of the feeding of the flock is admonishing, “…them which …are over you in the Lord, and admonish you” (I Thess.5:12). This means to put in mind, call attention to, caution, warn or gently reprove. An Elders ministry is diverse and he must deal with each sheep specifically not just generally. “Now we exhort you, brethren, warn them that are unruly, comfort the feebleminded, support the weak, be patient toward all men.” (v14). That means that a pulpit ministry is not sufficient for healthy local ministry. There must be a personal dealing of issues with individuals. For three years Paul warned the church at Ephesus with tears rolling down his cheeks concerning future dangers because he knew the things that would face this local church. This is the heart of a genuine leader. A leader who acts as if nothing can go wrong and who does not watch over the flock carefully is both foolish and negligent. A vital part of the task of a shepherd is to warn against wolves and to guard the flock by putting himself between the sheep and danger. When Paul gathered the Ephesian Elders together he said “Take heed therefore unto yourselves, and to all the flock, over the which the Holy Ghost hath made you overseers, to feed the church of God, which he hath purchased with his own blood. For I know this, that after my departing shall grievous wolves enter in among you, not sparing the flock. (Act 20:28-31). What a warning! Such wolves would come, even disguised as sheep, as true believers or as ministers of the Gospel. They may even come disguised in the garb of the gifted ministry of a prophet or apostle. It is the responsibility of the local Elders to be very watchful for such wolves and to protect the church from them by clearly warning the sheep of such a danger and specifically warning them about a specific wolf. Without such open clarity the sheep will not be safe. Paul never hesitated to name and warn against someone who was hindering the gospel and who was going to endanger the Church. “Alexander the coppersmith did me much evil: the Lord reward him according to his works: Of whom be thou ware also; for he hath greatly withstood our words.” (II Tim.4:14-15). If a man is unwilling to face conflict in the process of protecting the flock he is not fit for the ministry. A faithful Shepherd will never leave the flock to the mercy of a wolf. God uses the eldership to deal with wolves. Those who neglect to guard the sheep with clear warnings are not fit for ministry. These three wonderful tasks are a vital part of ministry in the local church. Leaders and believers must both understand these three tasks so that they might work together in order to bring joy and blessing to the whole church.